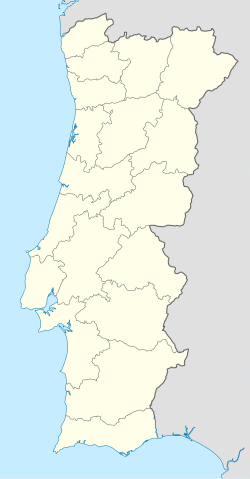 Aljubarrota is a freguesia ("civil parish") in the municipality of Alcobaça, Portugal. It was formed in 2013 by the merger of the parishes of Prazeres and São Vicente. Its population in 2011 was 6,639 in an area of 47.94 km². In 1385 the Battle of Aljubarrota took place near the village. ^ Diário da República. "Law nr. 11-A/2013, page 552 7" (pdf) (in Portuguese). Retrieved 16 July 2014. This Leiria location article is a stub. You can help Wikipedia by expanding it. This page was last edited on 23 March 2019, at 13:45 (UTC).